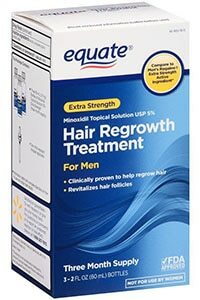 It may be natural for men’s hair to thin out over time, but that doesn’t mean you have to live with it. Today, there are more ways to combat hair loss than ever before. So, if you’ve noticed that your strands are looking a little sparse, it’s time to start acting. Luckily, we’ve rounded up the best ways to tackle, treat and prevent hair loss. From lifestyle changes to regrowth products, these tried-and-tested methods can give your locks the boost they require and help return them to their former glory. 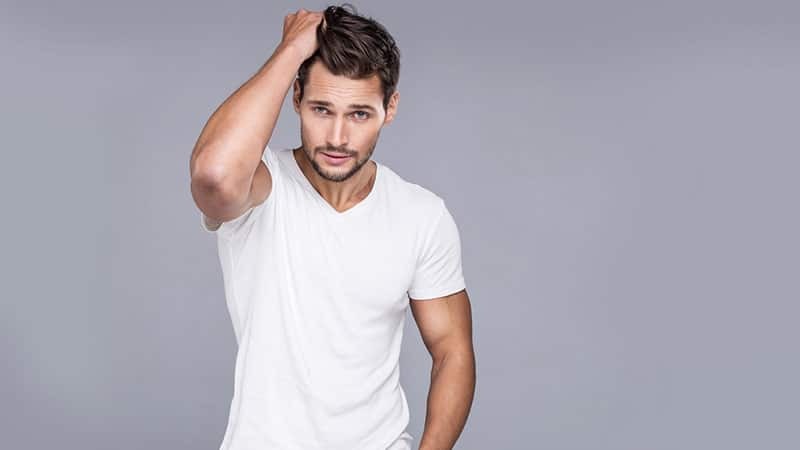 All you need to do is take a look at this guide, and you’ll soon know everything you need to about thinning hair and how to make it thicker. 1 What Does Thinning Hair Look Like? 2 Why is My Hair Thinning? What Does Thinning Hair Look Like? 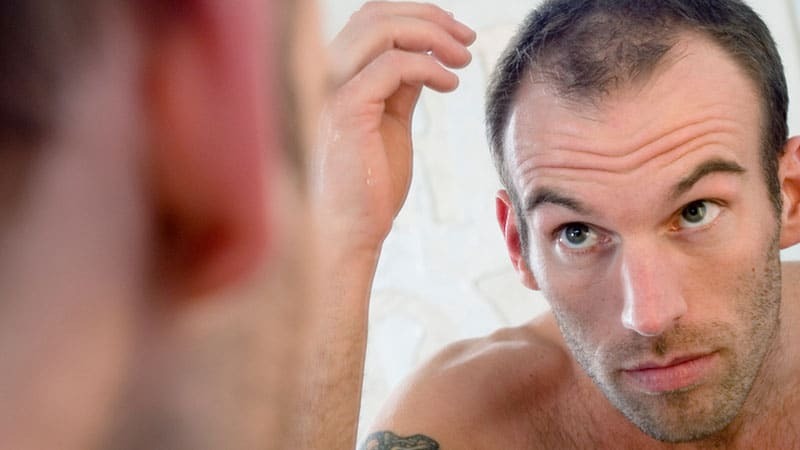 Hair loss can affect men of all ages. As such, it’s important to know the signs of thinning hair so that you can tackle the problem as it develops. 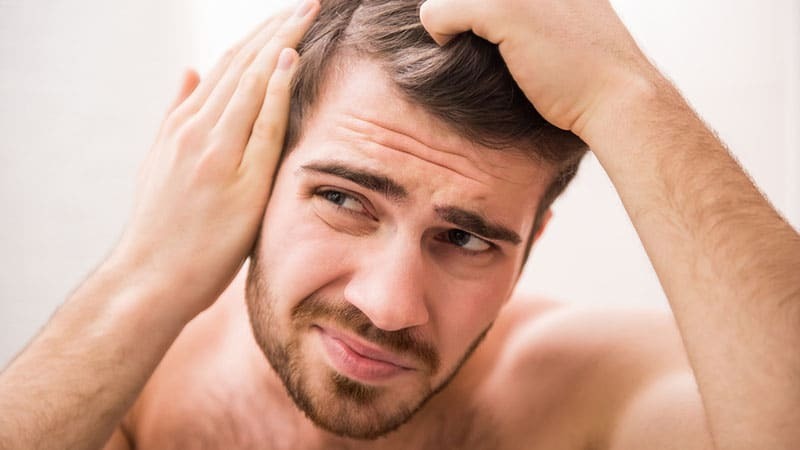 Hair loss in men typically begins around the forehead and on top of the head. 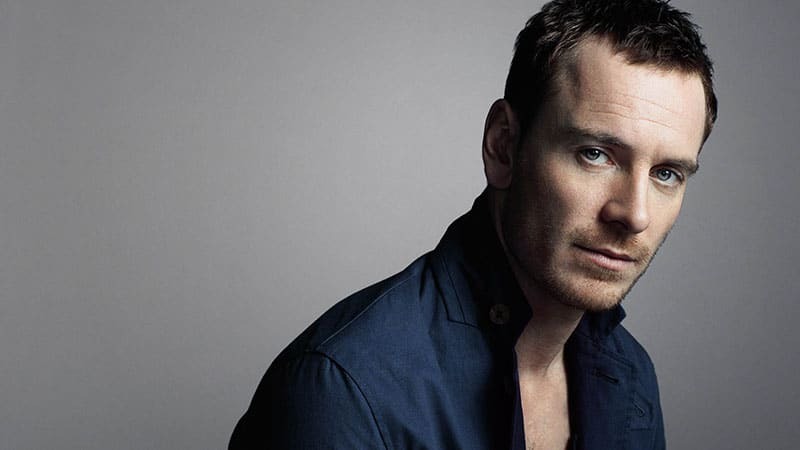 Therefore, many men experience a receding hairline as part of the early stages of their hair loss. To determine whether your hairline is receding, try comparing your current hair to a photo from two years ago. Thinning hair on top of the head, on the other hand, can be identified by regularly parting your hair down the middle and seeing how much scalp is revealed. It’s important to know the reasons why hair thins out to help prevent it from happening prematurely. While ageing naturally causes hair to thin, other lifestyle factors can also influence the thickness of your locks. Smoking is one such example that can put you at higher risk of becoming bald. Due to their toxins, cigarettes can hinder the blood flow to your follicles, causing thinning. Likewise, as your strands are made up of protein fibres, not enough protein in your diet can also have a significant impact on your hair. Other factors that can contribute to hair thinning include stress, some medications and medical conditions. While many factors can contribute to thinness, male pattern baldness is the most common type of hair loss. This gradual reduction in hair typically begins with thinning on the top and sides, which can then spread to the rest of the head. In general, it takes 15 – 25 years for men with male pattern baldness to go completely bald. 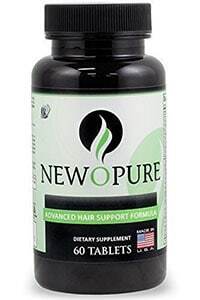 Although there is no cure at this stage, the hair loss process can be slowed using medication. Other thickening and regrowth methods, as well as an appropriate hairstyle, can also be useful in tackling and disguising this problem. 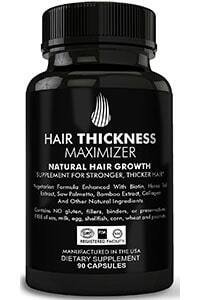 When it comes to making thin hair thicker, combating the issue at the source is often the best option. As such, lifestyle changes can be incredibly useful for preventing and treating hair loss. In particular, your diet can have a significant effect on your hair, so be sure to watch what you eat and drink. Adding more protein, Omega 3, iron and vitamin C to your diet as well as drinking more water and less alcohol can seriously improve the health and growth of your hair. 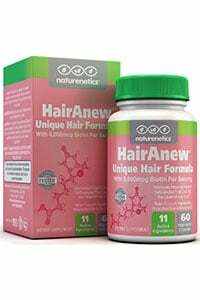 Alternatively, speak to your doctor about taking supplements or hair growth vitamins if you aren’t getting enough nutrients naturally. Due to its power to increase circulation, regular exercise is another factor that can help thicken your hair. As for your hair itself, be sure to treat it carefully to maintain its health and ability to grow. Not only does this mean that you should use specialised products, but it also requires limiting your use of hairdryers and hot styling tools. As high heat can damage your hair and cause breakage and hair loss, allowing your hair to dry naturally is ideal if you’re looking to thicken your locks. If you must use a dryer, be sure to put it on a low setting and use a heat protectant spray. If, after making these changes, your hair still requires an extra boost, consider trialling natural hair remedies, regrowth treatments and volumising products. 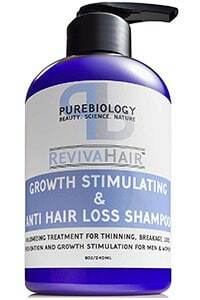 For men who are leading a healthy life and still experiencing thinning on the top of their head, hair growth products and treatments can provide a suitable option. 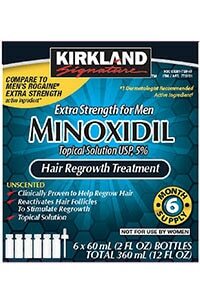 To achieve the best results, choose a Minoxidil topical treatment, which stimulates hair follicles to help grow new strands. Alternatively, a hair transplant may be considered for those who have had no luck regrowing their hair. Thickening your hair can be challenging and take time. Luckily, there are ways to make thin hair look thicker in the meantime. With the right haircut and style, as well as the proper products and shampoo, your fine locks can instantly appear more voluminous. 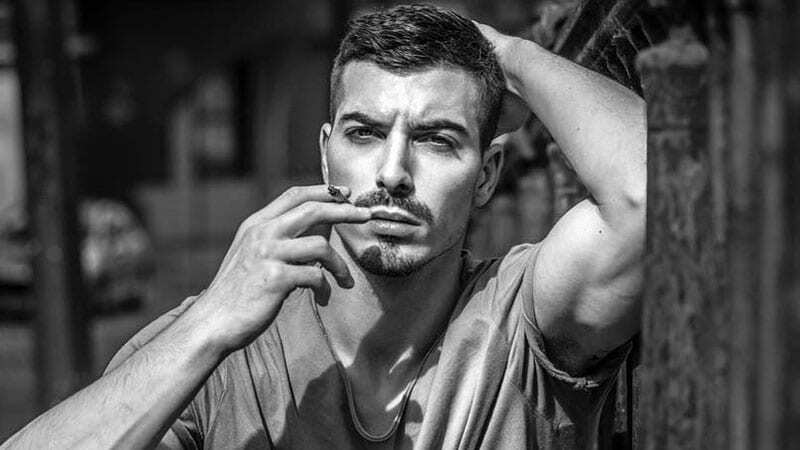 There are many great haircuts for men with thin hair as well as for those with a receding hairline, and by choosing one, you’ll be able to improve your appearance. In particular, short haircuts tend to suit thin hair best. Not only can a cropped cut allow thin patches to blend in, but it can also make hair appear fuller thanks to its lightweight strands. As such, styles like buzz cuts and crew cuts, are worth considering if your hair is thinning. Undercuts can also be ideal as their minimal sides and back can make the top of your hair appear more voluminous in comparison. 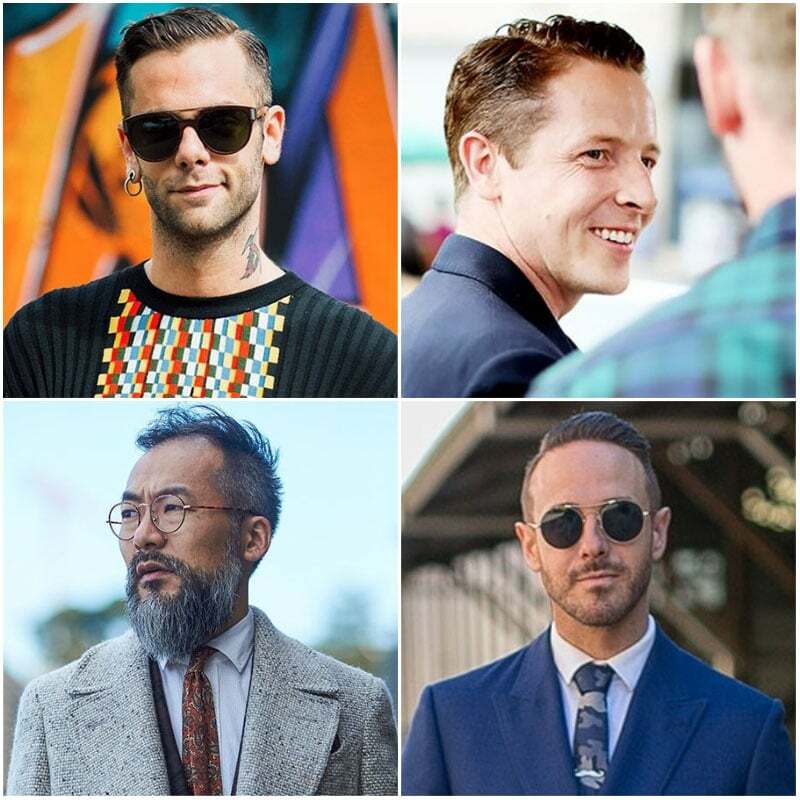 When it comes to men’s hairstyles for thinning hair, the texture is critical. As thin hair often sits flat and limp when left natural, using volumising products to separate strands is essential. However, remember to keep things relatively neat as messy hairstyles can make your hair appear even thinner. 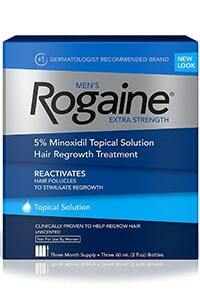 Gentle waves and soft spikes make especially good choices for men with thinning hair. Likewise, side part styles can also work well by creating an instant sense of volume on top. 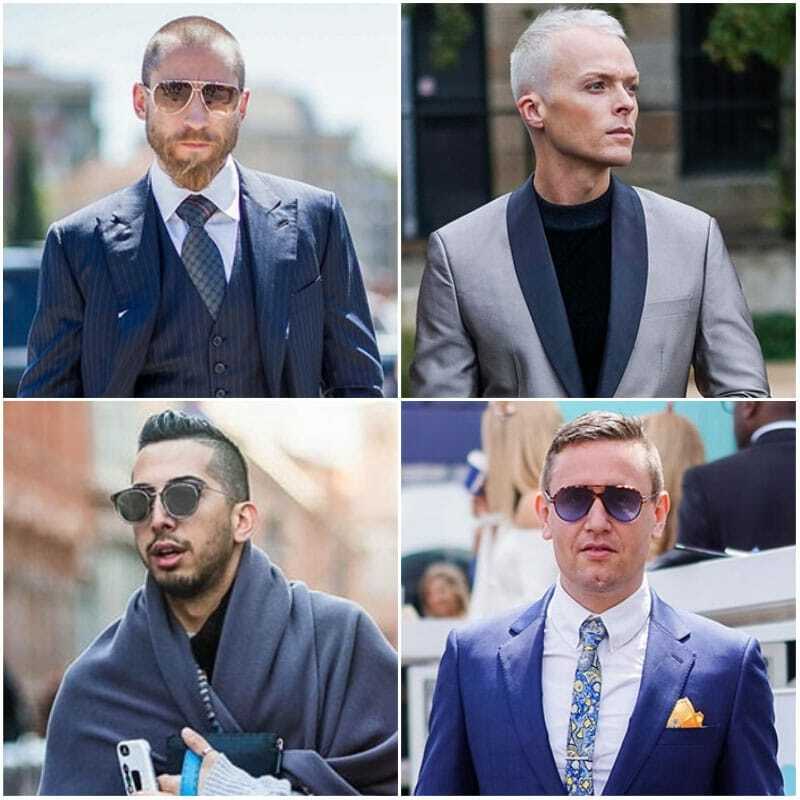 For those who like an on-trend look, such as a pompadour or quiff, be sure to scale the style down to suit your locks and only use a small amount of pomade. 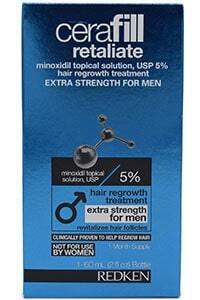 Today, there are many fantastic shampoos available for men with thinning hair. 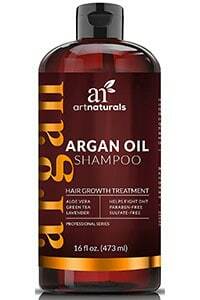 Designed to nourish hair and encourage growth, these products can be highly beneficial for those with sparse strands. 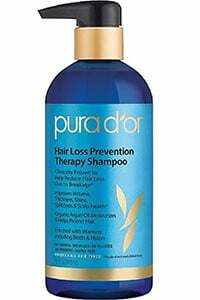 In particular, shampoos that contain blockers for DHT (the hormone responsible for male pattern hair loss) can be highly useful for preventing the thinning of hair. 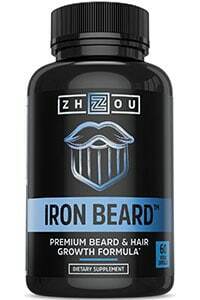 Additionally, selecting products that are as natural as possible is also ideal. Try to identify and eliminate the cause of your hair loss. Drink more water and increase your intake of protein, Omega 3, and vitamin C.
Select a haircut and hairstyle that will make your thin hair appear thicker. 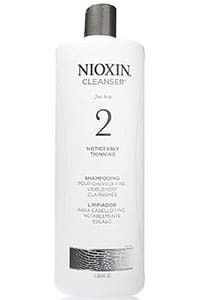 Use shampoos that are designed for thinning hair. Consider hair regrowth treatments and transplants if no other thickening methods work.